Another glimpse back in time, this time for the Aztec and Aztec Princess. I have to say, the advert offers a slightly tenuous unique selling point ; that of the Womens’ lasted outsole being offered alongside the Mens. And at greater to cost to the manufacturer! Perhaps a small sign of different attitudes back in the day 😉 Interesting also to see the trademarked name ‘Unit-II’ for the outsole with its angled rear section, which by 1980 was shortly to become outdated and unfashionable. 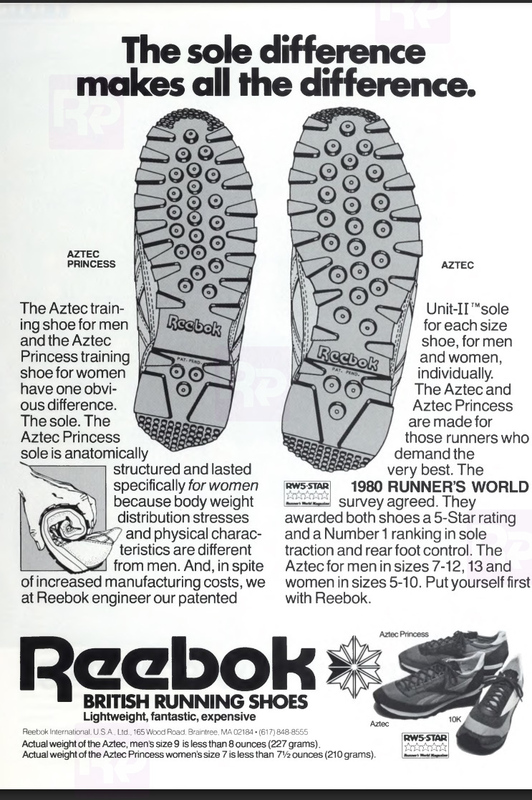 Posted on May 25, 2015, in Newsfeed and tagged aztec princess, aztec running, Reebok advertisement, Reebok Aztec, Retrobok. Bookmark the permalink. Comments Off on 1980 — Aztec/Aztec Princess; B&W Advert.